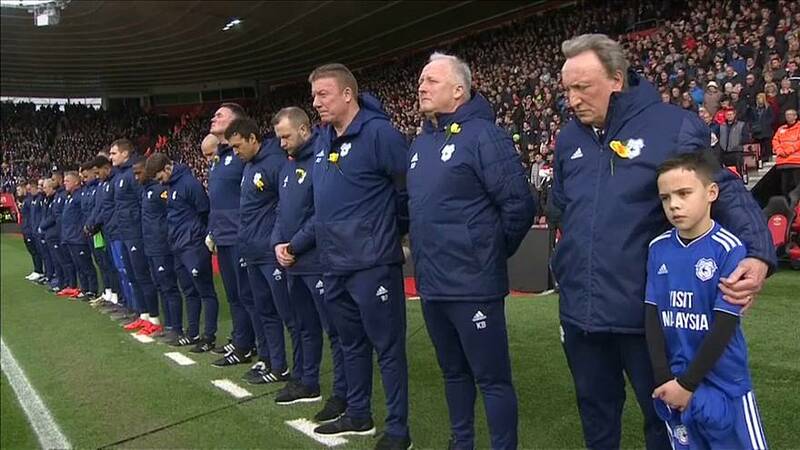 Players and fans observed a minute's silence in Southampton on Saturday in memory of Cardiff striker Emiliano Sala who died in a plane crash. Cardiff were playing their first game since his light aircraft went missing over the English Channel near Guernsey. The pilot David Ibbotson also died and his body has yet to be found. His family have set up a crowd-funding page to raise the money to continue searching for his body. Cardiff city owner Vincent Tan has offered to pay for Sala's remains to be flown back to his home country Argentina. A minute's silence was also observed in Paris before Paris Saint Germain played Bordeaux. Sala was flying to Cardiff to join the team for the first time and had yet to play for them when he died.